Bridal Cream Ivory Flower Hair Clip. 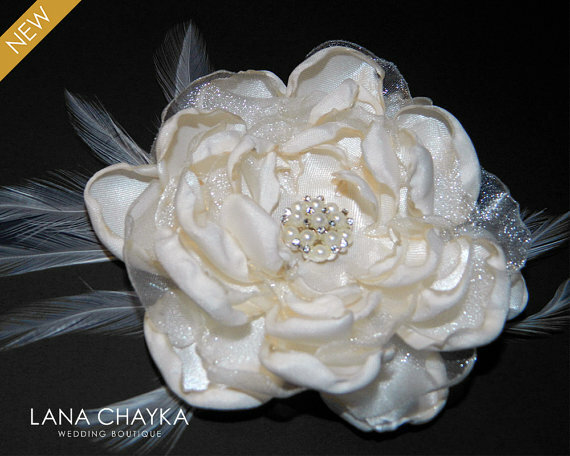 This flower hair piece is made with cream ivory satin, ivory organza, feather, and embellished with silver plated component with clear rhinestones and pearls. Each layer is hand cut and singed by me. Flower size: approx. 3.75 inches (9.5 cm) in diameter without feather.